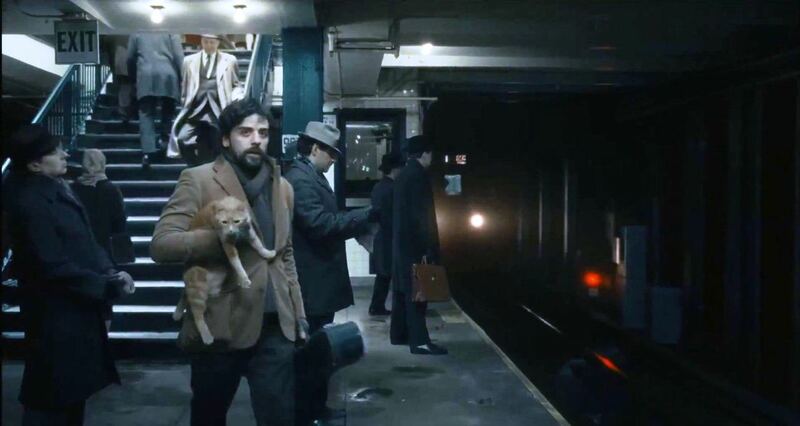 The milieu of Inside Llewyn Davis wraps around the Coen Brothers and their audience like a cozy sweater in the dead of winter. Watching it is akin to sitting down with an old friend you haven’t seen for years during the holidays, perhaps with hot tea or coffee cupped in your chapped hands, a fireplace hopefully roaring nearby, and listening to them tell a story…maybe one you’ve heard before, maybe one that seems new only to reveal the classic themes of your lives, and you’re held wrapt, comfortable, and full of bittersweet feelings. Heck D’ya Mean! Fargo only placed 51st? A few months back I was asked to participate in the Top Comedy Films of All Time polling at the world’s premier independently run film blog, Wonders in the Dark. While Fargo placed far higher on my own list, it finished 51st in the official polling. I then had the pleasure of being asked to provide an essay extolling the many virtues of Fargo, which apart from being such an ingenious dark comedy, is one of my personal favorite films – a state of mind I find myself returning to at least once a year. Apparently I’ll never get enough of those accents. But it’s those small moments that make it undeniably funny – Marge’s interview of the goofy gum-smacking truck-stop hookers, the idiotic zombified niceness of the cashier at the diner where Jerry convinces his father-in-law to pay a ransom on a kidnapping Jerry arranged, and the complete disinterest of the call girl Carl tries to impress by taking her to the Carlton Celebrity Room to see Jose Feliciano. The Coens also displayed a hilarious knack for sucking the seriousness out of dire situations, like when Jerry tries to comfort his son Scotty after Scotty’s mother is kidnapped and on the back of the kid’s bedroom door is a poster for “The Accordion King” – a fat smiling idiot in the Alps looking down on this hot mess in the Twin Cities. Click here to read the full essay at Wonders in the Dark and to join the debate about whether Fargo is a comedy at all. On Sunday February 22nd at the Oscars, Martin McDonagh will be competing for the Best Original Screenplay for In Bruges. For me, this was one of the most brilliant scripts in years–darkly comic, heartfelt and compelling, expertly paced and chock full of quotable lines. Sadly I don’t think it will win–oh, please prove me wrong, Academy–but it made think of all the great scripts from Hollywood’s past. What films were memorable not just for their imagery, but for the writing as well? What films contained amazing performances that were great because of the material the performers were given and the dialogue they spoke? What screenplays are deserving of being considered the best of all time? The Coen Brothers’ Burn After Reading is one of those movies with a farcical and convoluted plot involving idiotic one-up-manship that is essentially an excuse for the filmmakers to poke fun and for their stars to have a great time doing silly bits. Here our zany Brothers return to one of their favorite themes: what happens when simpletons get in way over their heads with a cynical league of morons. Clooney, McDormand, Malcovich, Swinton, and especially Pitt, all whip out their best comedic timing and smarmy facial expressions in this tale of misguided blackmail and bumbling counter-intelligence. Unlike their last two comedic travesties (the barely there Intolerable Cruelty and the wacko Ladykillers), the Coens’ focus is sharper and crueler in this Reading and pointed directly at the government, society, themselves and their audience. 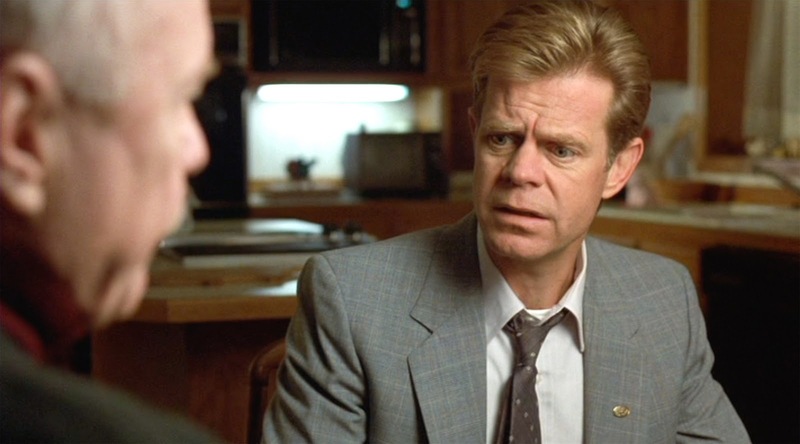 I’ve seen four out of the last five Coen Brothers’ films in crowded theaters where their faithful often laugh out of turn at some of the most unfunny of moments. Burn After Reading has plenty of those moments, as well as some truly funny ones, but one has to wonder why such a talented pair would shoot so low as to desire the elicitation of that “solo” laughter from the loons in the audience that constitute the filmmakers’ personal league of morons. When Clooney’s hardwood floor-loving womanizer unveils his “special project” to McDormand’s plastic-surgery obsessed internet speed dater, it’s a hilarious anti-climax to what had been a long build-up in previous scenes that had the whole crowd groaning and giggling. But isn’t Clooney’s rear-entry sexual-aid device a bit emblematic of how the Coens’ have been treating their audience lately? Later, when Malcovich’s alcoholic ex-CIA analyst literally takes a hatchet to another character, it again elicits uproars, but I couldn’t help but think the Coens’ were symbolically taking out their frustration on the faithful who have been befuddled by their recent offerings. We’re a cynical bunch, and so are the Coens, and whether they see themselves as the simpletons in over their heads and their audience as the league of morons, or vice versa, is never clear. At least with this slow Burn we don’t have to deal with the pretentious philosophical ruminations of their literary bound and insanely overrated Oscar-winner, No Country for Old Men. While this might not recapture the pure joy of their original dark comedy, Raising Arizona, this star-studded and occasionally hilarious Burn After Reading is the Coen Brothers’ most entertaining film in years, even if we’re all a little more bruised from the wear. A Vietnam vet (Josh Brolin) stumbles upon a drug deal gone wrong and casually takes off with two million dollars that a psychopathic bounty hunter (Javier Bardem) will do anything to get back. Meanwhile, a Sheriff nearing retirement (Tommy Lee Jones) strolls behind the mayhem always a few steps behind. Set in Texas in 1980, “No Country for Old Men” is a meticulously crafted misfire from the Coen Brothers and adapted for the screen from the Cormac McCarthy novel. Roger Deakin’s stark cinematography matches perfectly the brilliant mise-en-scene and signature Coen Brother’s pacing. 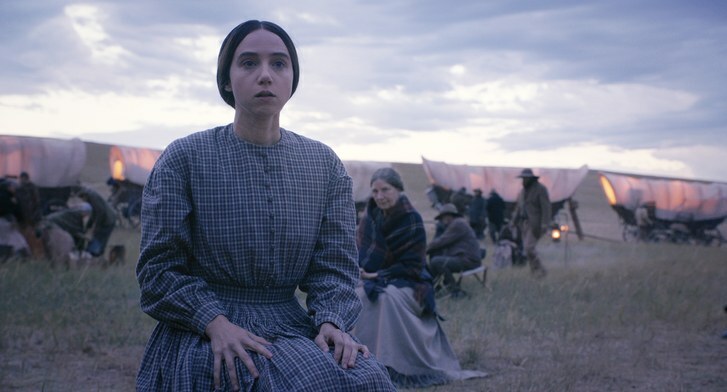 The audience is also treated to a revolving door of quirky side characters and dark deadpan humor in the dialog that have become the trademarks of a Coen Brothers’ dramatic production. It would seem to be a return to form, but there’s a wandering coldness to the film that leads to grave dissatisfaction. The most disappointing aspect is that there’s a near perfect forty-five minute “mini film” riddled with white knuckle suspense involving the cat-and-mouse shoot-em-up between Bardem and Brolin that is lost inside yet another dour opus where Tommy Lee Jones plays a grizzled but good-hearted authority figure philosophizing about the sad state of the world for the umpteenth time. While Bardem and Brolin are sensational, Tommy Lee Jones seems to be playing an on-screen persona that has trumped his ability to show any type of range. He’s typecast, and his character is made moot. 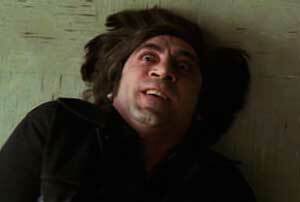 Meanwhile Bardem gives a career-defining performance as the psychopath working with his own warped sense of morals. In what may prove to be ironic in the future, it’s exactly the type of portrayal that risks making Bardem typecast in the same vein Anthony Hopkins was after his Hannibal Lecter character was born. The brooding tension built around Bardem’s unforgettable villain and the inevitable showdown with Brolin’s wayward cowboy is completely wasted in anti-climactic fashion with no resolution that leaves the film to meander in philosophies that ultimately signify nothing. Coming off three straight comedies (the last two of which, “Intolerable Cruelty” and “The Ladykillers”, were abysmal) the Coen Brothers have clearly lost their footing in trying to get back to their roots. “No Country for Old Men” boasts many of their popular hallmarks and an instantly classic turn from Javier Bardem, but it lacks the moral fiber of “Fargo” and the dramatic climax of “Blood Simple”. Coming home, it seems, isn’t as easy as it looks when the roads are dusty and lead you nowhere.